Kordal is a contemporary knitwear brand looking to officially launch with it's Spring '13 collection. 175 backers pledged $11,816 to help bring this project to life. Kordal is a contemporary knitwear brand founded by Mandy Kordal in 2011. Kordal has been selling in boutiques such as Thistle and Clover and Life Curated for the past year and is ready to officially launch this fall with it's Spring '13 collection! But to do this we need your help! To officially launch the brand we are asking for $10,000. This money will go towards attending the Capsule trade show which has an entry fee of $6,000, yarn for the collection, a production deposit, building a website, and a photo shoot. Up until this point all of the Kordal pieces were designed and handmade by the owner. But in order for the business to grow and become successful, we have decided to work with local knitwear technicians in NYC to help fill our production orders. It is extremely important to the brand that everything is designed, sampled, and produced in the United States. Kordal has two knitting machines in it's studio which allow for a creative and efficient sampling process. Creating our samples in house helps to keep the knowledge of knitting machines alive, and support the garment district of New York. For this incentive I partnered with my friend Jeein who is also a designer and amazing illustrator! She created a custom fashion illustration of a Kordal Sweater! Check out some of her other work here. 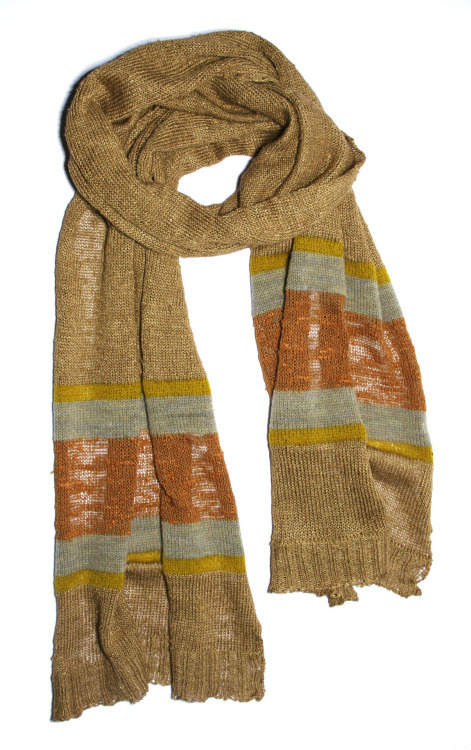 Knit ties made of 100% wool offered in a Mustard Yellow + Beige and Black + Grey. With this incentive item you've got options! Four of them in fact! Choose from either a cashmere grey beanie, or a two color chunky hat 100% Wool offered in the following three colors: Black + Cream, Blue + Cream, or Green + Cream. Email me your preference and it's all yours! Choose your favorite color! We have two options, a Blue + Black stripe or Burnt Orange + Green, both have a ground color of a Chestnut Brown, and are made of 50% linen 50% cotton. So soft and and works as a great layering piece for early summer! 100% Silk, asymmetrical seaming detail highlighted by rolled edges along the seams. 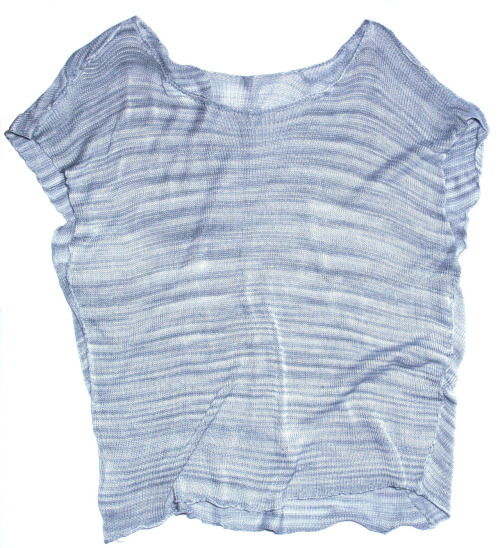 Has a loose boxy shape for a versatile fit! Thank you for checking out the project! To learn more about Kordal check out my website and blog! 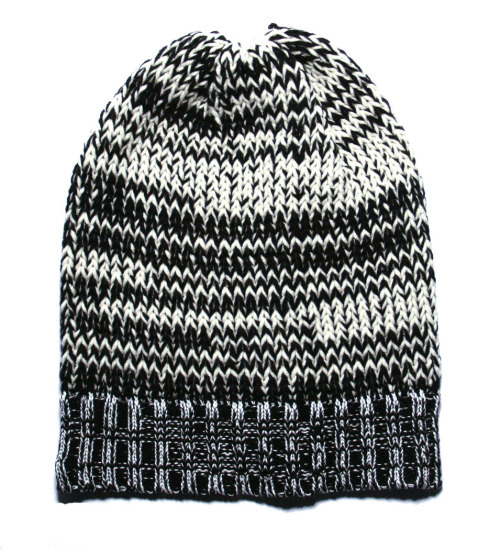 We now have a photo of the grey+black color way for the knit tie incentive! Let me know which color you prefer! Thanks! * Special thanks to Alex Bayer, Brett Banks, Genevieve Rainsberger, Jenni Kusowski, Rob Spalding, Nora Wolf, Jeein Shin, Thao Nguyen, Ryan Leitner, and Dorene + Richard Kordal for making this project possible! 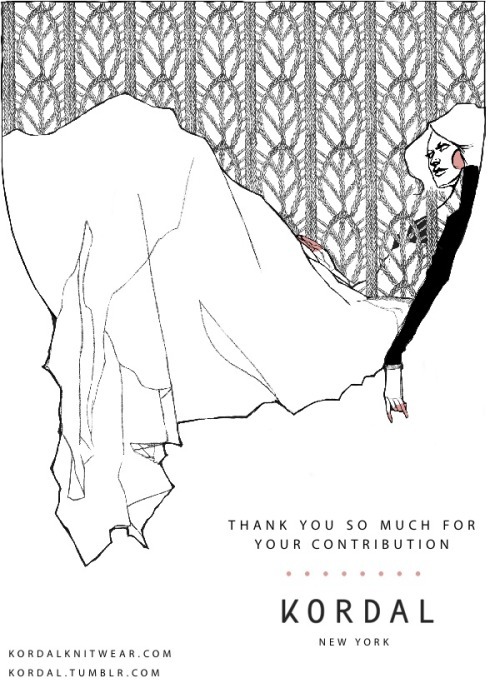 For any pledge of $10 or more you will receive an illustrated thank you postcard with a personalized note on the back! Every little bit counts, thanks! For a donation of $35 you will receive a knit tie! We are offering two color combinations, a mustard yellow + beige, and grey + black. Just email me your color preference and it's all yours! With a donation of $45 you will be the proud owner of a knit bracelet! 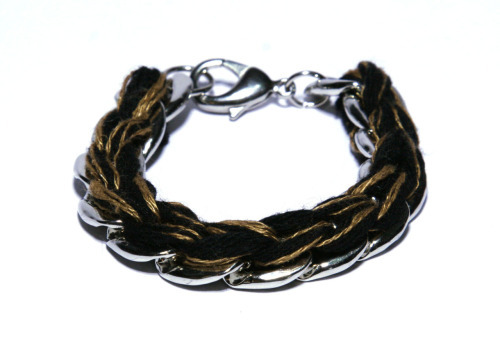 The bracelet was created with a silver metal chain and braiding black and brown yarn through using macrame techniques. For a donation of $65 you will have receive a knit hat! We have two options for this level, so check it out. 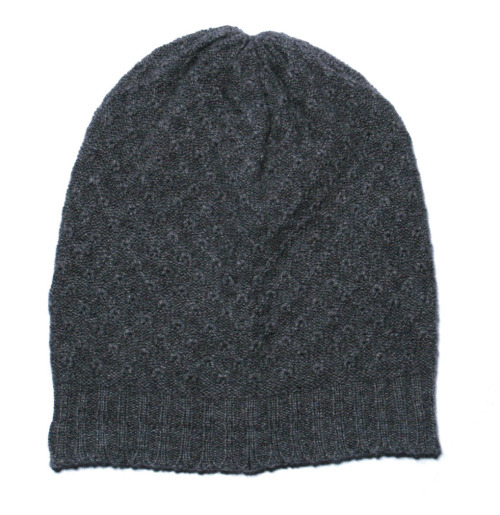 First one is a grey cashmere hat with a textured tuck stitch. It has a slouchy fit and is super soft! 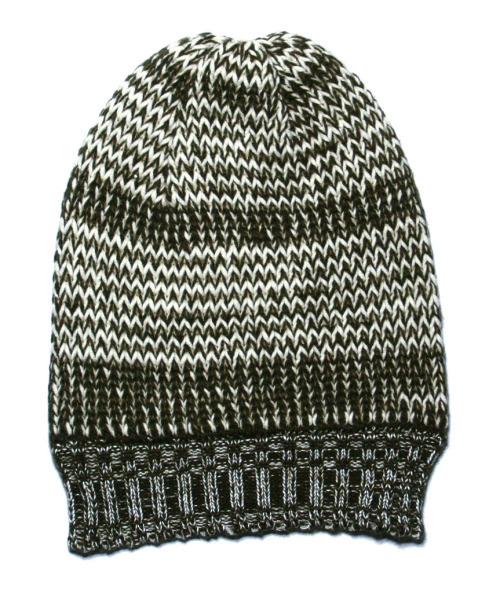 The second is chunky knit hat with a combination of two different yarns. We have three different colors available, black + cream, blue + cream, and green + cream. Just email me your preference! We also have some photos below to help you pick your favorite! Want a tote bag and a hat? You got it! 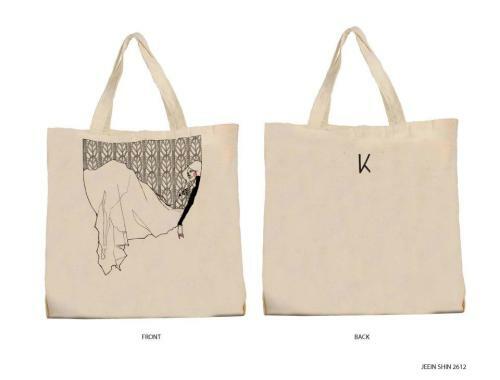 For a donation of $80 you will have your choice of one of the hats from the previous incentive and a Kordal tote bag! For a donation of $100 you will receive a Kordal Striped Scarf! 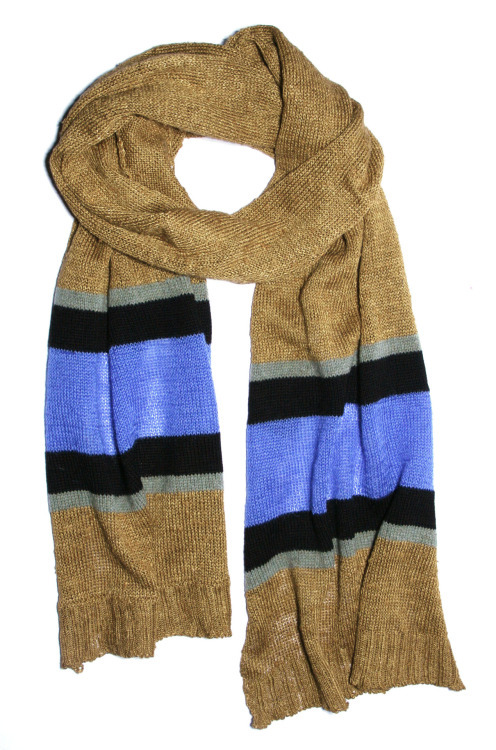 The body of the scarf is a linen blend and the stripes are 100% cotton. We have two stripe color options for this piece, first one is cobalt blue + black, and the second is a pale green + burnt orange. 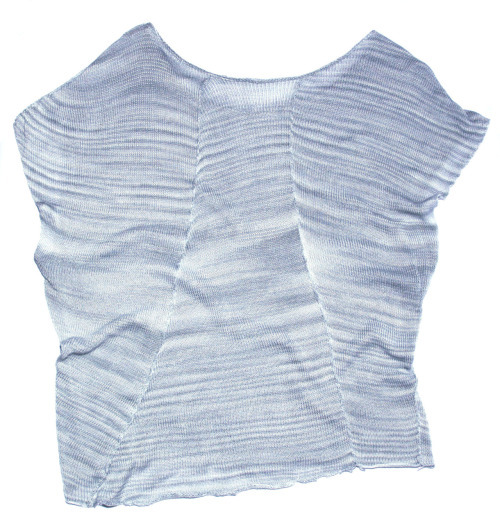 With a donation of $195 you will receive a Kordal knit blouse! This piece was created using a silk yarn and has asymmetrical seaming detail, which is highlighted by a rolled edge on all of the seams. This piece would be great for summer! For a donation of $300 you will have your choice of any piece from the Spring '13 collection! Check here for updates on the design process and final photos! You will receive your piece before it hits stores! Want to have a Kordal sweater and participate in the design process? For a donation of $500 I will create a custom sweater just for you! You will be involved in selecting the yarn color and quality, and choose your favorite design from a series of sketches. Along with the sweater I will also send you the swatches and sketches! Want to have it all? Well for a donation of $1,000 you can! You get everything, and I mean everything! The thank you card, tote bag, knit tie, bracelet, knit hat, striped scarf, knit blouse, sweater, and a custom design! Alright, this is the big one! For a donation of $5,000 you will receive all of the incentive items and a flight (up to $500) to New York to attend the Kordal photo shoot! We are expecting to shoot the Spring '13 collection in June, so mark your calendars!